Special Announcement - Public Tech Demo (Beta)! Over the past few weeks our fans have helped us immensely in bug-fixing and testing Crowns! Crowns is still deep (and early) in development, but we wanted to share a slice of what's coming your way! For the next week, feel free to download the tech demo and explore the start of the story, and most importantly, try out our unique breeding system! Please keep in mind that any bugs or glitches you experience are not indicative of the final game (but we'd love to hear about them on here!). To breed, enter the left barn on the farm. Go to the book and leave two monsters. You can then trigger breeding by taking a nap on the bench. Note: To play from the title-screen click “new game” in the upper left. To bypass the intro and just play, smash the rocks. You can then continue with the game from there without ever catching a Primigon for dad. Re: Special Announcement - Public Tech Demo (Beta)! I think I broke it. 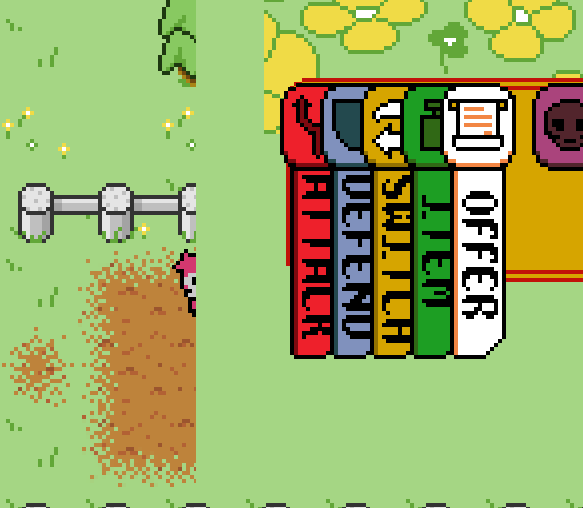 Map screen has the battle screen overlayed on top of it. Thanks Vajra! Feel free to post here. Anything odd happen in that Canite battle? Anything noteworthy or different than usual? One suggestion i recently came up with. you should be able to see what kind of crownie breeded beforehand you have to choose it's name. Randwarf wrote: One suggestion i recently came up with. you should be able to see what kind of crownie breeded beforehand you have to choose it's name. Agreed! This breeding is tech-demo breeding. The final product will be much different, include eggs and previews! devotedtoneurosis wrote: Thanks Vajra! Feel free to post here. As a matter of fact, yes. 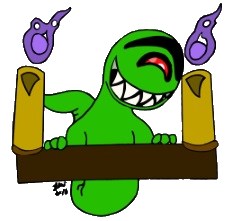 It looked like there were the sprites for the monsters behind the moving ones; I could tell because Seycret and Canite were hopping up and down, but i could still see their original sprite stationary behind them. 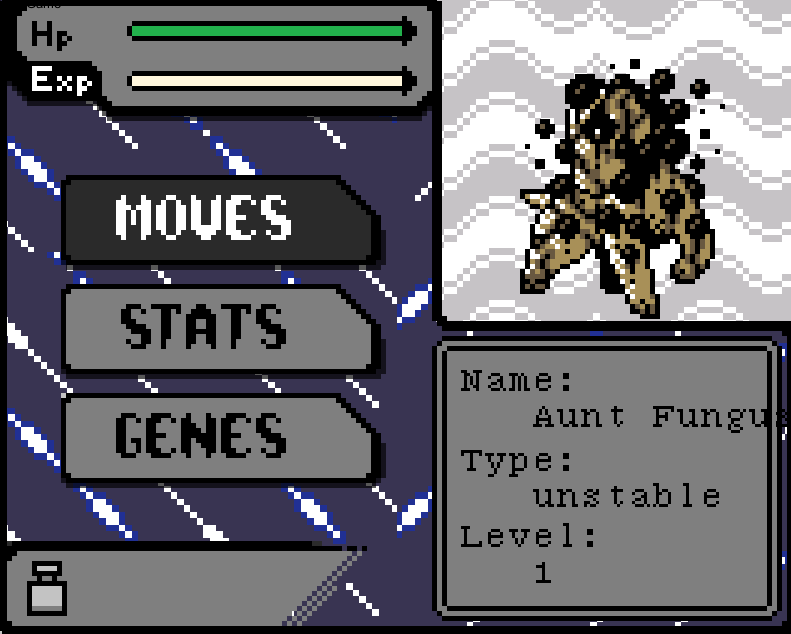 As for Aunt Fungus (the "S" at the end is cut-off XD), yeah, that's a creepy-yet-really-cool design.